Universities offering Distance Learning PhD programmes. Calcutta University PhD Admission 2019 – University of Calcutta (Kolkata) invites the applications for admission to PhD Program in the Department of Applied Psychology through Research Eligibility Test (RET) 2019. Raffles University PhD Admission 2019 - Raffles University , Neemrana notifies PhD admissions for Management, Engineering, Science, Law and Social Science & Humanities for July 2019 session. Shiv Nadar University PhD Admission 2019 - Shiv Nadar University (SNU), Noida invites applications for admission to Doctor of Philosophy (PhD) Programs at the Department of Mechanical Engineering for the session 2019-20. Sri Guru Granth Sahib World University Admission 2019 – Sri Guru Granth Sahib World University, (SGGSWU) Fatehgarh Sahib invites application for the admission to the next session 2018-19 in the following courses. Jaype University of Information Technology PhD Admission 2019 – Jaypee University of Information Technology (JUIT), Waknaghat, Himachal Pradesh invites applications for admission to Doctor of Philosophy (PhD) Program for the academic session July 2019. IIITDM Jabalpur PhD Admission 2019 - Indian Institute of Information Technology Design and Manufacturing (IITDM), Jabalpur has invited applications for admission to Doctoral Programme (PhD) in Computer Science and Engineering, Electronics and Communication Engineering, Mechanical Engineering, Design, Physics, Mathematics and English for academic session 2019. Mahatma Gandhi University PhD Admission 2019 - Mahatma Gandhi University (MGU), Kottayam (Kerala) invite applications for admission to PhD Courses through Written Aptitude Test (PhD WAT) for the Academic Session 2019. NCCS PhD Admission 2019 - National Centre for Cell Sciences (NCCS), Pune invites application from eligible candidates for admissions to PhD Programs of August 2019 session. Osmania University PhD Part-Time Admission 2019 - University College of Engineering, Osmania University, Hyderabad, notifies that the online applications are invited for the admission to Part-Time PhD Program exclusively in the Departments of ECE and CSE under Visvesvaraya PhD Scheme (Deity), Govt. of India. University of Calcutta PhD Anthropology Admission 2019 - Applications are invited for the Research Eligibility Test (RET) 2019 for the admission to Ph.D. Programme in the Department of Anthropology, University of Calcutta for the academic year 2019. THSTI-JNU PhD Admission 2019 – Translational Health Science and Technology Institute Gurgaon announces admission to PhD Programs under two tracks (i) Biomedical Research and (ii) Clinical Research year 2019-20 (Monsoon Session). IIM Kozhikode PhD in Management Admission 2019 - Indian Institute of Management (IIM) Kozhikode invites applications for its prestigious PhD Programme (Practice Track) in Management for the academic year 2019. AcSIR PhD Admission 2019 - Academy of Scientific and Innovative Research (AcSIR), New Delhi invites applications for admission to Doctor of Philosophy (PhD) in Science and Engineering Programs for the August 2019 Batch. Institute of Life Sciences PhD in Biotechnology Admission 2019 -Institute of Life Sciences (ILS), Bhubaneswar, an autonomous Institute of the Department of Biotechnology, Ministry of Science and Technology, Government of India engaged in advanced research invites applications from Indian nationals for PhD Programs for the academic year 2019-20. ICFAI Dehradun PhD in Law Admission 2019- ICFAI Law School Dehradun invites application for admission to (Full time/ Part time) PhD in Law for the academic session 2019-20. Goa University PhD Admission 2019 – Goa University invites application for admission to the Ph.D. Program in the various subjects offered at Post Graduate Departments/Research Centres of Goa University for the academic session 2019-20. NIT Meghalaya PhD Admission 2019 - Applications are invited for admission to the Doctor of Philosophy (PhD) Programme starting in July 2019 (Autumn 2019) under Full time and Sponsored (part-time) categories. GGSIPU Phd Admission 2019 - Applications are invited by Guru Gobind Singh Indraprastha University from the interested candidates for admission into PhD Program in various subjects for the year 2019. Parul University PhD Admission 2019 - Parul University invites online application from eligible candidates for admission to PhD program offered at different Department of the University for the academic session 2019-20. IIT Guwahati PhD Admission 2019 Notification. Check out more info on eligibility, application and dates for IIT Guwahati PhD Admission 2019. IISER Kolkata Integrated PhD Admission 2019. Find out more on IISER Integrated PhD course 2019 eligibility, application procedure, entrance exam and important dates. University of Hyderabad M.Phil PhD Admission 2019. Check out more details on dates, eligibility, application for University of Hyderabad Admissions 2019. Forest Research Institute (FRI) PhD Entrance Test 2019. Check out more details ob dates, eligibility, application for FRI PhD Entrance Test 2019. Calcutta University PhD Admission 2019 – University of Calcutta (Kolkata) invites the applications for admission to PhD Program in the Department of Biophysics, Molecular Biology & Bioinformatics through Research Eligibility Test (RET) 2019. Get details on DAIICT PhD Admission 2019. Check out more info on dates, eligibility, and application for DAIICT Gandhinagar PhD Admission 2019. IIT Kharagpur Joint MTech/PhD-MCP Admission 2019. Check out more info on dates, eligibility, application for IIT Kharagpur Joint MTech/PhD-MCP Admission 2019. ICGEB PhD Admission 2019 - International Centre for Genetic Engineering and Biotechnology (ICGEB) New Delhi applications are invited from the candidates for admission to PhD Program for the commencing year 2019. NUEPA Delhi MPhil and PhD Admission 2019 - National University of Educational Planning and Administration (NUEPA) New Delhi has invited applications from eligible candidates for admission to its Full-Time M.Phil, PhD and Part-time PhD Programs for the year 2019. AMU PhD Admission 2019 Notification - Centre for Management Education (CME), All India Management Association (AIMA), in collaboration with Aligarh Muslim University invites applications for admission to PhD in Business Administration for the 2019 June Session through a written test Research Management Aptitude Test (R-MAT). IIT Jodhpur M.Tech and M.Tech-PhD Dual Degree Admission 2019 - IIT Jodhpur invites applications for admission to M.Tech and M.Tech-PhD Dual Degree programmes in the following specialisations from the first semester July 2019. Dr Hari Singh Gour University PhD Admission 2019: Dr. Hari Singh Gour University invites application from interested candidates for admission into PhD Program in Various department for the academic session 2019. Amrita Vishwa Vidyapeetham PhD Admission 2019 - Amrita Vishwa Vidyapeetham invites candidates for Full-time and Part-time admissions. Eligible candidates among full-time scholars shall be provided scholarship. Seeking PhD candidates in the Amrita campuses at Amritapuri, Bengaluru, Coimbatore, Kochi and Mysore. IIT Jodhpur PhD Admission 2019 - Indian Institute of Technology (IIT), Jodhpur invites applications for admission to Doctor of Philosophy (PhD) Programs for the year 2019. NID Ahmedabad PhD in Design Admission 2019 - Applications are invited by National Institute of Design(NID) from the interested candidates for admission into PhD programme in Design for the year 2019. RCB Faridabad PhD Admission 2019 – Regional Centre for Biotechnology invites applications from the motivated students for admission to the PhD Program starting June 2019. IIT Ropar PhD and MTech Admission 2019 - Indian Institute of Technology, Ropar invites applications are from the interested candidates for admission into M.Tech and PhD program for the academic session 2019 – 20. IIT BHU M.Tech, M.Pharm, PhD Admissions 2019 – Indian Institute of Technology (Banaras Hindu University), Varanasi invites online applications for admission to M.Tech. M.Pharm. and Ph.D. Programmes for Odd Semester of 2019-20 Session. RPCAU Pusa Postgraduate and PhD Admission 2019 - Applications are invited for admission in Master/Ph.D. programmes of Agriculture and Allied Sciences for session 2019-20. IARI PhD Entrance Exam 2019 - IARI New Delhi has released notification of IARI PhD Entrance Exam 2019 for admission into Ph.D. Program for the academic year 2019-20. ICMR-RMRIMS PhD Admission 2019 Notification. Also check out on dates, eligibility and application for ICMR RMRIMS PhD Admission 2019. NALSAR University of Law PhD Admission 2019 - NALSAR University of Law, Hyderabad, an institution of eminence in the field of legal education and research, is a residential University established by the NALSAR University. NALSAR University of Law Integrated LLM PhD Admission 2019 - NALSAR University of Law Hyderabad invites application for admission to Integrated Master in Law (LLM) and Doctoral of Philosophy (PhD) Programmes for the academic year 2019-20. NIPER JEE 2019 PhD Joint Admission Test - NIPER Institute is conducted Joint Entrance Exam (JEE) for admission to PhD Course in various disciplines for all seven (7) NIPER's for academic year 2019. IIM Sambalpur Phd Admission 2019 - IIM Sambalpur invites applications from eligible candidates for PhD Program in various disciplines for academic year 2019. IIT Patna PhD Admission 2019 - Indian Institute of Technology (IIT) Patna invites applications for admission to Doctor of Philosophy (PhD) Program, starting in July 2019. IISER Kolkata PhD Admission 2019 – Indian Institute of Science Education and Research (IISER), Kolkata announces Doctoral Philosophy (PhD) Program for Autumn 2019. INST Mohali PhD Admission 2019 – Institute of Nanoscience and Technology (INST), Mohali invites applications from prospective candidates for admission in to its PhD program in several areas of Nanoscience and Nanotechnology for the session beginning in August 2019. IISER Bhopal PhD Admission 2019 - Applications are invited for admission to Ph.D. programme in Biological Sciences, Chemical Engineering, Chemistry, Earth and Environmental Sciences, Economic Sciences, Electrical Engineering & Computer Science, Humanities and Social Sciences, Mathematics and Physics for the semester commencing from August 2019. IIM Ranchi PhD Admission 2019 Applications are invited from the interested candidates for admission into PhD programme for the year 2019. NISER Bhubaneswar PhD Admission 2019 - National Institute of Science Education and Research (NISER) Bhubaneswar announces admission to PhD Program 2019 (Summer Session). Applications are invited from Indian citizens for admission to PhD programme in the following schools of basic sciences at NISER, Bhubaneswar. IIT Madras PhD and MS Admission 2019 - Indian Institute of Technology (IIT) Madras has invited applications from eligible candidates for admission to PhD and MS (by Research) Programs under Regular/Part-Time/External Schemes of the Institute Program for the session July 2019. Gitam University MPhil and PhD Admission 2019 - Gitam University invites applications from the eligible candidates for admission to MPhil/ PhD Programme offered at Visakhapatnam, Hyderabad and Bengaluru for the year 2019. Kannur University PhD Admission 2019 – Kannur University Research Directorate Thavakkara Campus, Applications are invited from eligible candidates including candidates exempted from Entrance Test for admission to PhD Program for the year 2019-20. IISER Mohali Integrated MS PhD Admission 2019 - Applications are invited from prospective candidates for admission to the Integrated MS-PhD Program at IISER Mohali in the areas of Biology, Chemistry, Mathematics and Physics for the session beginning in August 2019. IISER Pune Integrated PhD Admission 2019 - Indian Institute of Science Education and Research (IISER) Pune has released notification for admission to Integrated PhD (i-PhD) in, the Biological, Chemical, Mathematical and Physical Sciences for the academic year 2019 intake for August Batch. Vinayaka Missions University PhD Admission 2019 – Vinayaka Missions University has released notification for admission in Full Time / Part Time Ph.D Program for the academic year April 2019. IIT Hyderabad PhD Biotechnology Admission 2019 � Expression of interest are invited from candidates having a valid JRF fellowship, for admission to a regular PhD (Biotechnology) program in the area of HIV biology under the supervision of Dr. N. K. Raghavendra at department of Biotechnology, IIT Hyderabad. South Asian University Masters and PhD Admission 2019 – South Asian University (SAU) New Delhi invites applications for admission to Masters and PhD program in Economics, Computer Science, Biotechnology, Applied Mathematics, Sociology, International Relations and Legal Studies for the academic Session 2019-20. IIIT Delhi PhD Admission 2019 - Indraprastha Institute of Information Technology (IIIT) Delhi invites applications from bright and dedicated young scholars interested in research for admission to PhD Programs offered in various field for the academic session 2019. Nirma University PhD Admission 2019 - Nirma University invites application for admission to Full time/ Part time PhD Admission 2019 under the Faculty of Technology and Engineering, Pharmacy, science and Law for the academic session 2019. Alliance University PhD in Management Admission 2019 – Alliance University (AU) Bangalore announces admission to Doctoral of Philosophy (PhD) in Management offered at Alliance School of Business for the year 2019. NLU Bangalore MPhil PhD LLD Admission 2019 - Applications are invited by National Law School of India University for admission. IIFT PhD Admission 2019 - Indian Institute of Foreign Trade (IIFT), New Delhi Invites applications for its Full time and Part-time PhD Program (Economics & Management) from both domestic and overseas candidates for the year 2019. SGPGIMS Lucknow Phd Admission 2019 – Sanjay Gandhi Postgraduate Institute of Medical Sciences, situated at Lucknow, is an apex centre for tertiary level Super specialties, devoted to patient care, teaching and Research. Jadavpur University PhD Admission 2019 – Jadavpur University, Faculty of Interdisciplinary Studies, Law & Management, Offers admissions in to PhD Programs in the School of Oceanographic Studies under reserve category. Online applications are invited from Indian Nationals for PhD Programs Admissions for the January-June 2019 session. WBUHS PhD Admission 2019 – The West Bengal University of Health Sciences (WBHUS) Kolkata is inviting interested and eligible candidates for Doctoral of Philosophy (PhD) Program for 2019-20 Sessions. Manipal University PhD Scholarship Program 2019 – Manipal Academy of Higher Education invites applications for Dr TMA Pai PhD Scholarship Program (A full-time PhD Program of MAHE) Commencing in July 2019. Mizoram University PhD Admission 2019 – Online applications are invited by Mizoram University for admission to PhD Program (Only for M.Phil Degree holder/) for Winter Session 2019. Maharaja Agrasen University PhD Admission 2019 – Maharaja Agrasen University invites online applications from eligible candidate for admission to various PhD Program in Management, Commerce, Hospitality & Tourism, Physics, Chemistry, Mathematics, Bio-technology, Environmental Science, Zoology, English, Law, ME, ECE, CSE, CE, Pharmacy for the academic year 2019. NSIT PhD Admission 2019 - Netaji Subhas University of Technology formerly Netaji Subhas Institute of Technology (NSIT) invites application from interested candidates for admission into PhD for the session 2018-2019. University of Calcutta PhD in CILL Admission 2019 – Applications are invited for admission to the Ph.D. program in the Department of Comparative Indian Language and Literature, University of Calcutta for the academic year 2019. ICFAI University PhD Admission 2019 – ICFAI University Jaipur invites application for the admission to Full time and Part time PhD Program for the academic session 2019. Adesh University PhD Admission 2019 – Adesh University Bathinda invites online applications for admission to PhD Program 2019. Presidency University Phd Admission 2019 - Online Applications are invited from UGC-CSIR NET/ NET – LS qualified candidates to the PhD Program of Presidency University in various departments for the session 2019-2020 commencing from July 2019. NMIMS PhD in Engineering and Technology Admission 2019 – SVKM’s NMIMS University Mukesh Patel School of Technology Management & Engineering has invites application from the eligible candidates for admission to Doctoral of Philosophy (PhD) Programs in Engineering and Technology Management for the commencing 2019 batch. Ganpat University PhD Admission 2019 - Applications are invited by Ganpat University for admission to PhD Programs in Management, Engineering & Technology, Computer Applications, Pharmacy, Sciences & Economics for the commencing July 2019 intake. Calcutta University PhD Economics Admission 2019 - University of Calcutta (CU), Kolkata invites applications for admission to Doctor of Philosophy (PhD) Program in Economics for the academic session 2019. TIFR PhD in Science Education Admission 2019 - Homi Bhabha Centre for Science Education (HBCSE), TATA Institute of Fundamental Research (TIFR) notifies admission for PhD program in science education for the academic year 2019. IFMR Chittor PhD Admission 2019 - Institute for Financial Management and Research (IFMR), Chittor invites applications for admission to Doctor of Philosophy (PhD) program for the commencing session 2019. The notification for Institute for Financial Management IFMR Chittor PhD Admission 2019 has been announced. 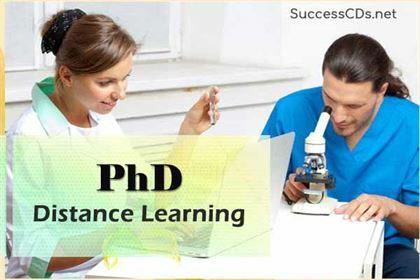 HPTU PhD Admission 2019 – Applications for direct admission to Doctoral of Philosophy (PhD) Programme in Pharmacy of Himachal Pradesh Technical University off Campus Research Centre at Laureate Institute of Pharmacy, VPO Kathog, Degree Tehsil Dehra, Distt. Kangra (H.P.) for the academic year 2019. Madan Mohan Malviya University PhD Admission 2019 – Applications are invited for PhD admission under Part Time Category in various Departments of Madan Mohan Malaviya University of Technology, Gorakhpur U.P. for the academic session 2019-20. IIT Gandhinagar PhD Admission 2019 - Indian Institute of Technology (IIT), Gandhinagar invites applications for admission to Doctor of Philosophy (PhD) Program Semester II offered in various disciplines for the session 2019. Sincere applications are invited by prestigious Mangalayatan University (Aligarh, Uttar Pradesh) for participating in its top-notch M.Phil. and Ph.D. programmes conducted by its various academic departments, for the session 2019-20. Sanskriti University PhD Admission 2019 – The University invites applications for PhD Programs (Full time/ Part time). Get details on IIT PhD Admissions and Entrance Exam 2019. Also find here info on IIT PhD admissions date, eligibility criteria, selection process and more. NIMHANS Bangalore PhD, MPhil, Fellowship Admission 2019 - National Institute of Mental Health and Neuroscience (NIMHANS) announced online applications on prescribed form for admission to the following courses for the academic year 2019-20. Rashtriya Sanskrit Vidyapeetha PhD Entrance Test CVVET 2019 - Shri Lal Bahadur Shastri Sanskrit Vidyapeetha, New Delhi will conduct the Combined Vidyavaridhi (PhD) Entrance Test 2019 (CVVET) at specified centres in different parts of the country. University of Calcutta PhD in Home Science Admission 2019 ? University of Calcutta invites application for PhD admission in Home Science (Food and Nutrition) and Phd in Home Science (Human Development) for the academic session 2019. GNDU Amritsar PhD Admission 2019 - GNDU Amritsar has invited online applications for admissions to Doctoral of Philosophy program for the year 2019. Bengaluru Central University PhD Admission 2019 ? Bengaluru Central University invites application from eligible candidates for admission to Doctoral Program leading to PhD degree in the prescribed format for academic session 2019. CSJMU Kanpur PhD Admission 2019 ? Online applications are invited from eligible candidates for admission to PhD (Doctoral of Philosophy) Program (CSJMUET) for academic year 2019. TISS Mumbai MPhil and PhD Admission 2019 - Tata Institute of Social Sciences (TISS), Mumbai invites applications for admission to Integrated M.Phil-PhD and Direct PhD Programs (academic year 2019 with the various Schools and Independent Centres of the Institute across TISS Mumbai, Guwahati, Hyderabad and Tuljapur Campuses. BRAOU PhD Admission 2019 ? Dr. B. R. Ambedkar Open University invites applications from eligible candidates for admission into PhD Programs for the academic year 2019. CRG International PhD Fellowship Program 2019: Centre for Genomic Regulation (CRG) invites application for International PhD Fellowship Program for Academic session 2019.CRG recruiting, highly talented and motivated students, with backgrounds in biological or biomedical sciences, physics, chemistry, mathematics and/or computer science for CRG International PhD Fellowships Programme. HNBGU M.Phil and PhD Admission 2019 - Hemwati Nandan Bahuguna Garhwal University invites application form the eligible candidates for admission to M.Phil and PhD Admission for the academic session 2019. Jadavpur University PhD Admissions 2019 - Jadavpur University (JU), Kolkata online applications are invited from Indian National for admission to PhD Program (January 2019) in the Department of Physical Educational. Krishna Kanta Handiqui State Open University MPhil PhD 2019 - Krishna Kanta Handiqui State Open University, Guwahati, announces admission to M.Phil and PhD Programmes for the session 2019-20. King George?s Medical University Lucknow PhD Positions Recruitment 2019 ? Applications are invited from eligible candidates who have high motivation to pursue Biomedical research, for the Two PhD positions under Prof. Shailendra Kumar Saxena, Stem Cell/Cell Culture Unit, Center for Advanced Research, King George?s Medical University, Lucknow. Uttaranchal University PhD Admission 2019 ? Uttaranchal University, Dehradun has invites application for admission to Doctoral of Philosophy (PhD) Program through Entrance Examination for the academic year 2019-20. IABM PhD (Agri. 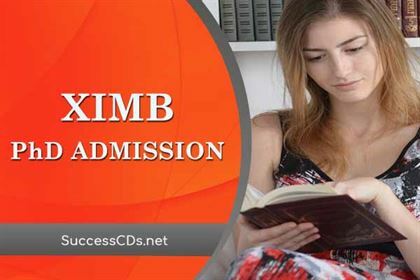 Business) Admission 2019 ? Institute of Agri Business Management (IABM), Swami Keshwanand (Rajasthan) Agricultural University, Bikaner has invited applications for admission to Doctoral of Philosophy (Agri. Business) Degree Program for the academic session 2019-21 (9th Batch). Adichunchanagiri University PhD Admission 2019 ? Adichunchanagiri University B.G. Nagar (Karnataka) invites application for eligible candidates for admission to Doctoral of Philosophy (PhD) Program for the commencing year 2019. Siksha 'O' Anusandhan (SOA) University PhD Admission 2019 - Siksha 'O' Anusandhan University invites application for admission to Doctor of Philosophy (PhD) Program for January 2019 Session is to open mostly full-time research scholar applicants. Dr YS Parmar University Solan PhD Admissions 2019 - Online Applications are invited for admission to PhD Program in the following disciplines for the Academic Session 2019. NIT Durgapur Ph.D Admission 2019 - National Institute of Technology (NIT), Durgapur invites eligible candidates for admission to Part-Time and Full-Time (without fellowship) PhD (Doctoral of Philosophy) Research Scholars (with Fellowship) in the following departments for the even semester 2019. SGVU PhD Admission 2019 ? Suresh Gyan Vihar University (SGVU), Jaipur invites admissions to Doctoral of Philosophy (PhD) Program for the commencing January 2019 session. Assam University MPhil PhD Admission 2019: Online applications in prescribed form are invited for admission to the M.Phil. / Ph.D. Courses of study in Assam University, Silchar H.Q. & Diphu Campus for the academic session commencing from January 2019. SHIATS PhD Admission 2019 - Sam Higginbottom Institute of Agriculture Technology & Sciences, applications are invited from interested candidates for admission to full time PhD Programs Academic Session (January - June 2019) in the following Departments. University of Madras PhD Admission 2019 ? Applications are invited for admission to PhD Degree from candidates for Full-Time/ Part-Time Program in the departments of the University, Colleges affiliated to this University and recognized research institutions for January 2019 session. TNOU PhD Admission 2019 - Tamil Nadu Open University, Chennai, invite applications for admission to the Ph.D., Program (Regular) under full time Category only for the academic January 2019 Admission Session. SPA Vijayawada PhD Admission 2018 ? School of Planning and Architecture (SPA), Vijayawada has invited applications for admission to full-time Doctoral Research Program, December 2018, leading to the award of the degree of PhD (Doctoral of Philosophy). NII PhD Admission 2019 - National Institute of Immunology (NII), New Delhi invites applications from eligible candidates for its PhD Program for the academic year 2019-20. MSSV Nagaon M.Phil and PhD Admission 2019 ? Mahapurusha Srimanta Sankradeva Vishwavidyalaya (MSSV) invites application for admissions to Ph.D and M.Phil Courses for the academic year 2019. Bharath University PhD Admission 2019 - Applications are invited from the eligible candidates for the admission to Doctoral of Philosophy (PhD) Programme for January 2019 Batch. Periyar University PhD Admission 2018-19 - Applications are invited for admission to full-time/part-time PhD Programs offered in the Departments of Periyar University and PhD Programs Offered in the affiliated Colleges/Research Institutions of Periyar University for the academic year 2018-19 (December Session). CSIR-NCL PhD Admission 2019 - National Chemical Laboratory (NCL), under the Council of Scientific & Industrial Research (CSIR), Dr. Homi Bhabha Road, Pashan Pune has invited applications for admission to the AcSIR PhD Program in School of the Academy of Scientific and Innovative Research (AcSIR) for January 2019 session. GLA University PhD Admission 2019 - Applications are invited for admission into Part Time/Full Time PhD Courses offered by the GLA University for the Academic year 2019 . AIIMS Jodhpur PhD Admission 2019 - All India Institute of Medical Science (AIIMS) Jodhpur, has invited applications for the admission to Doctoral of Philosophy (PhD) Program for January 2019 session. 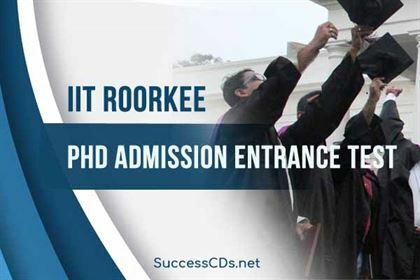 SRHU PhD Admission 2019 ? Swami Rama Himalayan University has invited application for admission to full-time PhD Program 2019 session. ICFAI University PhD in Management Admission 2019 ? ICFAI University, Jharkhand invites application for the admission to Part time PhD in Management for the academic session 2019. Thapar University LMTSM PhD and M.Phil Admission 2019 - LM Thapar School of Management (LMTSM), Thapar University has released a notification for admission to PhD and M Phil Program in various disciplines for the academic year 2019. NIT Puducherry PhD Admission 2019 ? National Institute of Technology Puducherry (NITP), Karaikal, an Institute of National importance under MHRD, Govt. of India Karaikal has invited applications for admission to PhD Programs 2018-19 (January Session). Sharda University PhD Admission 2019 - Sharda University invites application from eligible candidates for admission to the different Doctoral of Philosophy (PhD) Programs (Full Time & Part Time) for the academic year 2019. University of Calcutta PhD Geography Admission 2019 ? University of Calcutta (UC) Kolkata invites applications, for admission to Doctor of Philosophy (PhD) Program in Geography offered at the Department of Geography for the session 2019. NIT Silchar PhD Admission 2019 ? National Institute of Technology (NIT), Silchar has released PhD Admission Notification for January ? June 2019 Session. Veer Surendra Sai University (VSSUT) Odisha invites application for admission into the regular /sponsored Doctoral of Philosophy (PhD) Program. Online Applications are invited for Admission to Full Time and Part Time PhD Programs in PDM University under various disciplines for the academic session 2019. 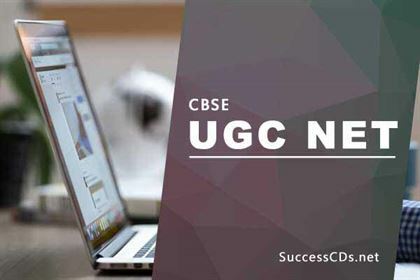 GD Goenka University PhD Admission 2019 ? GD Goenka University (GDGU), Sohna invites applications for admission to full time/part time Doctor of Philosophy (PhD) Program offered in Architecture, Communication, Education Engineering, Hospitality, Humanities & Social Science, Law, Management and Medical & Allied Sciences for the session 2019-20. VNIT PhD Admission 2019 ? Visvesvaraya National Institute of Technology (VNIT), Nagpur invites applications for admissions to PhD Programs for the academic year 2019-20 (January Session). 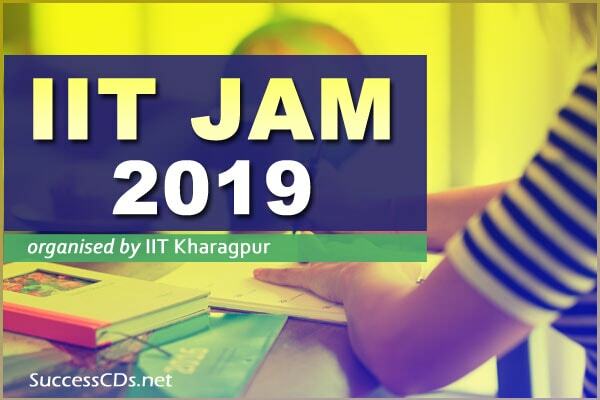 NIT Jamshedpur PhD Admission 2019 ? National Institute of Technology (NIT), Jamshedpur (Jharkhand), has invited applications for admission as Full Time/Part time Research Scholar to PhD Program of the Institute for the Spring Semester 2019. CIP Ranchi PHd, MPhil Courses Admission 2019 - Central Institute of Psychiatry (CIP) Ranchi invites applications for admission to the following PHD, MPhil/Diploma Courses of Ranchi University and conducted at this Institute, commencing from May 2019. DTU PhD 2019 Admission 2019 - Delhi Technological University (DTU), Delhi invites applications for admissions to Full Time & Part Time Doctor of Philosophy (PhD) Programs Commencing Session January 2019 . University of Calcutta PhD Linguistics Admission 2019 – University of Calcutta (CU), Kolkata invites applications for admission to Doctor of Philosophy (PhD) Program offered at the Department of Linguistics for the session 2019. JNCASR that is Jawaharlal Nehru Centre of Advanced Scientific Research is one of the famous and reputed institutes around the globe that has students from all diversities studying on campus. They have a great PhD and M.S Degree program in different fields. Indian Nursing Council Phd Admission 2019 – Indian Nursing Council (INC) are invited applications from candidates for enrolment of Part time PhD in Nursing for the academic year 2019-2020. Taiwan International Graduate Program 2019 – Taiwan International Graduate Program (TIGP) is now accepting applications for admission to the 2019 fall semester. IIST Thiruvananthapuram PhD Admission 2019 Notification Out! IIST Thiruvananthapuram PhD Admission 2019 -Indian Institute of Space Science and Technology - IIST PhD Admission 2019 January - Indian Institute of Space Science and Technology, Thiruvananthapuram invites applications from highly motivated applicants for admission to the PhD Program starting in January 2019. University of Hyderabad PhD Admission 2019 – University of Hyderabad invites application from bright, aspiring candidates committed to excellence in research to apply for PhD Programs in various Schools/Departments and Centres in the January 2019 Session. IISER Tirupati PhD Admission 2019 - Indian Institute of Science Education and Research (IISER) Tirupati, has released notification for admission to PhD in the disciplines of Biology, Chemistry and Physics and associated interdisciplinary areas of research for the academic year 2019. CCMB Hyderabad PhD Admission 2019 - Centre for Cellular and Molecular Biology (CCMB), Hyderabad, invites applications from candidates who are Indian citizens, to pursue research in modern biology leading to a PhD Degree for the academic year January 2019. DIAT Pune PhD Admission 2019 - The Defence Institute of Advanced Technology (DIAT), Pune has released a notification for admissions to the Doctor of Philosophy (PhD) Programs (Under Institutional Scholarship Category) for the academic session January 2019. CSIR-Indian Institute of Toxicology Research (CSIR IITR), invites applications for PhD Program under Academy of Scientific and Innovative Research (AcSIR) for the session commencing January 2019. Indian Institute of Technology, Mandi (School of Engineering) invites applications for admission to various areas in PhD/MS (by Research) Programs for the semester commencing in January 2019. For those who are looking forth to apply for their PhD must go through the entire notification here. NIT Goa PhD 2019 Admission Notifications out! Phd Aspirants, here is the good news! NIT Goa PhD Admission 2019 – National Institute of Technology (IIT) Goa, invites applications from eligible, candidates for admission to Doctor of Philosophy (PhD) Program (Regular /Part-time) in Engineering, Sciences and Humanities starting in January 2019. NIT Trichy MS and PhD Admission 2019 – National Institute of Technology (NIT) Tiruchirappalli invites applications for admission to M.Sc. (by Research) and PhD (Full Time) Program for the year 2019-20 (January 2019 Session). CSIR IIP Dehradun PhD Admission 2019 - CSIR-IIP invites applications for PhD Program under the Academy of Scientific and Innovative Research (AcSIR) in Chemical Science and Chemical Engineering from eligible candidates, for the January 2019 Session. IISER Berhampur PhD Admission 2019 - Applications are invited from highly motivated and research-orientated candidates for admission to PhD Program in Biological Sciences, Chemical Sciences, Mathematics and Physical Sciences from the citizens of India for the starting from July 2019. BIT Mesra, Ranchi PhD Admission 2019 - Birla Institute of Technology (BITS) Mesra Ranchi invites applications from eligible candidates for admission for BIT Ranchi PhD Admission 2019 under full-time / part-time categories for the monsoon session 2019 . IISER Mohali PhD Admission 2019 - Applications are invited from prospective candidates for admission to the PhD Program at IISER Mohali in the areas of Biological Sciences, Chemical Sciences, Mathematical Sciences, Physical Sciences, Earth & Environmental Sciences and Humanities & Social Sciences for the session beginning in January 2019. Xavier University Bhubaneswar (XUB) announces admission for Doctoral Programme (PhD) for 2019 session. Imperial College London PhD Scholarships 2018 - Imperial College London UK invites applications for PhD Scholarships 2019. The Imperial College PhD Scholarship Scheme offers an outstanding opportunity for potential PhD student’s 2019 academic year. Anna University PhD Admission 2019 - Applications are invited for admission to PhD Program for January 2019 session and Anna Centenary Research Fellowship of this University. Amrita Vishwa Vidyapeetham BSc MSC PhD Admission 2019 - Amrita Vishwa Vidyapeetham University (Amrita School of Biotechnology), Amritapurihas invited applications for admission to 3 years Bachelor of Science (B.Sc.) in Microbiology, Biotechnology and 2 years Master of Science (M.Sc.) in Biotechnology, Microbiology, Bioinformatics and Doctoral Program in Biotechnology, Computational Neuroscience for 2019 session . SHIATS Entrance Exam 2018 - Sam Higginbottom Institute of Agriculture, Technology & Sciences ( SHIATS) Allahabad invites applications for admission to their following Undergraduate and Postgraduate Programs for the academic year 2019-20. CSIR IGIB PhD Admission 2019 - CSIR-Institute of Genomics and Integrative Biology (CSIR-IGIB) announces PhD Program Admission for Research in frontier areas of Modern Biology leading to a PhD degree for the year 2019. Tezpur University PhD Admission 2019 - Tezpur University, a Central University based in Tezpur, Assam, has released PhD Admission Notification for the academic year 2019-20. Indian Institute of Health Management Research (IIHMR), Jaipur invites application for admission to the Doctoral of Philosophy (PhD) Program for the academic year 2019-20. AIIMS Rishikesh PhD Admission 2019. Check out more info on eligibility, application and dates for AIIMS Rishikesh PhD Admission 2019. Tata Institute of Fundamental Research invites applications for admissions to TIFR Deemed University, stationed at TCIS Hyderabad for PhD and Integrated M.Sc.-PhD Degree Programmes under the Subject Board of Physics (academic programmes starting 01st August 2019). The National Law University (NLU), Delhi invites applications for admission to BA LLB (Hons), LLM and PhD Programs for the academic year 2019-20 . Gautam Budhha University has released notification from eligible candidates for admission to the below mentioned program for the academic session 2019-20. CUSAT CAT 2019 : Cochin University of Science and Technology (CUSAT) conducts entrance exam for admission to various academic programs of the University for the academic year 2019-20 . Indian Institute of Information Technology (IIIT) Allahabad invites applications for admission to 2 years full time Master of Business Administration (MBA) Program for the commencing session July 2019. JEST 2019 Notification has been released now. Joint Entrance Screening Test (JEST) is conducted by several premier research institutes for admission to PhD and Integrated PhD Program in its different participating institutions . School of Planning and Architecture, Bhopal (SPAB) and School of Planning and Architecture, Vijayawada (SPAV), autonomous institutes of National importance established by the MHRD, Govt. of India jointly announce the Joint Admission Test to be conducted for the Masters and Doctoral Program under various specializations of Architecture and Planning for the academic session 2019-20. Institute of Liver and Biliary Sciences (ILBS), New Delhi invites applications from the eligible candidates to appear for ILBS Entrance Exam for the PhD, PDCC, PGCC and Certificate Courses admission for the academic year 2019. JNU Admission 2019 - Jawaharlal Nehru University, Delhi will conduct JNUEE 2018 (Jawaharlal Nehru University Entrance Exam) from 27th to 30th December 2017 for admissions to JNU. School of Planning and Architecture (SPA), New Delhi invites applications for admission to Masters Programs for the session 2019-20. PhD Scholarships 2019 - IIT Bombay - Monash Research Academy (The Academy) invites applications from eligible candidates for PhD admission in various research programs for the session June 2019 . MMMUT Gorakhpur Entrance Exam 2019 is being conducted for admission to Ist Yr. B.Tech, IInd Yr. B.Tech, MBA, MCA, M.Tech & PhD Courses 2019. Sant Longowal Institute of Engineering & Technology invites applications for admission to PhD Program for the academic year 2019. The admissions will be made through Sant Longowal Institute All India SLIET Entrance Test (SLIET SET) 2019 (SET-V) . Lovely Professional University (LPU), Jalandhar-Delhi G.T. Road (NH-1), Phagwara, invites applications for admission to PhD Full Time and Part Time Programs for the session 2019 through an entrance test. RAJUVAS PhD Admission 2018 ? Rajasthan University of Veterinary and Animal Sciences (Bikaner) invites applications from eligible candidates for admission to Doctor of Philosophy (PhD) in Veterinary Science for the academic session 2018-19. RUHS PhD Admission 2018 - Rajasthan University of Health Sciences (RUHS), Jaipur online applications are invited for admission (through entrance test) to PhD Program (2018) in the Faculty of Medicine of Pharmacy from 22nd November to 15th December 2018 (12.00 midnight) . Rai Technology University M.Sc, PhD Admission 2018 ? Rai Technology University invites application for admission to M.Sc. Agricultural Science (Genetics and Plant Breeding, Seed Science and Technology, Agronomy, Soil Science and Agricultural Chemistry, Agricultural Microbiology, Agricultural Entomology, Plant Pathology and Sericulture) and PhD in Agricultural Science, Commerce, Management, Economics, Library, and Information Science, Humanities and Natural Science for the academic year 2018-19. Manav Rachna International University PhD Admission 2018 - Manav Rachna International University invites online applications from eligible candidates for admission to Doctoral (PhD) Program in Faridabad Campus. MNNIT Allahabad PhD Admission 2018 - Applications are invited by Motilal Nehru National Institute of Technology (MNNIT), Allahabad for admission to Doctor of Philosophy (PhD) Program in Engineering, Management, Sciences, Humanities and Social Sciences (HSS) and Geographic Information System (GIS) for Even Semester, Session 2018-19 . IIIT Vadodara PhD Admission 2018 - Indian Institute of Information Technology (IIIT), Vadodara invites applications for admission to Doctor of Philosophy (PhD) Program Winter 2018-19 i.e. commencing from 02nd January 2019. University of Mumbai PhD MPhil Admission 2019 – The University of Mumbai invites online applications for PhD /M.Phil. Entrance Test, PET-2018 for admissions to PhD/M.Phil. in various subjects for the academic year 2018. Akkamahadevi Women's University Phd Admission 2018-19 - Applications are invited from eligible female candidates by Akkamahadevi Women's University, Vijayapura for the PhD Program admission for the academic year 2018-19. Vignan University PhD Admission 2018-19 - Vignan’s Foundation for Science, Technology & Research (Deemed to be University) invites application for admission to full time & part time PhD Programs in Engineering, Science, Management & English Streams for the academic session 2018-19. KUVEMPU University PhD Admission - Applications are invited in the prescribed proforma from the eligible candidates for enrolment to PhD (Full time & Part time) Program in various disciplines of the University for the academic year 2018-19. BITS Pilani Phd Admission 2018-19 - Birla Institute of Technology Science (BITS) Pilani invites applications for admission to Second Semester Full Time and Part Time Doctor of Philosophy (PhD) Program offered at Hyderabad, Goa and Pilani Campuses for the academic session 2018-19. NIMS Hyderabad PhD Admission 2018 - Nizam�s Institute of Medical Sciences (NIMS), Hyderabad, invites applications from eligible candidates of Telangana and Andhra Pradesh States for admission into its PhD Program offered in various specialties for the session 2018. MANIT Bhopal PhD Admissions 2018 - Maulana Azad National Institute of Technology (MANIT) invites application for admission to Full Time Doctor of Philosophy (PhD) Program for the academic year 2018-19. National Institute of Foundry and Forge Technology (NIFFT), Ranchi, invites applications for admission to Doctor of Philosophy (PhD) Full Time [Department: Forge Technology, Foundry Technology, Manufacturing Engineering, Department of Applied Science & Humanities, Metallurgical and Material Engineering] Program for the year 2018. Calcutta University PG Admission 2018 | PhD (Urdu) Program 2018 Notification Out! University of Calcutta also formally known as Calcutta University invites applications from all the aspiring eligible candidates (PhD Regulations 2016) for enrolment to the PhD Program in Urdu for the year 2018-19. Calcutta University PhD Admission 2018 – Department of South & Southeast Asian Studies, University of Calcutta invites the applications for admission to PhD Program in South & Southeast Asian Studies for the year 2018. KIMS PhD and PhD Interdisciplinary Admission 2018 - Krishna Institute of Medical Sciences (KIMS), Karad invites application for the admission to PhD and PhD Interdisciplinary Programs for the year 2018-19. IIT Tirupati PhD and MS Admission 2019 - Indian Institute of Technology Tirupati invites applications for admission to the MS (Research) and PhD Program starting in January 2019 Semester. IISER Berhampur PhD Admission 2019 - Applications are invited from highly motivated and research-orientated candidates for admission to PhD Program in Biological Sciences, Chemical Sciences, Mathematics and Physical Sciences from the citizens of India for the semester commencing January 2019. MS Ramaiah University of Applied Sciences PhD Admission 2018 – M.S. Ramaiah University of Applied Sciences (MSRUAS), Bangalore invites applications for admission to Doctor of Philosophy (PhD) Program for the commencing in September session 2018. CDLU PhD Admission 2018 - Chaudhary Devi Lal University (CDLU), Sirsa invites application for admission to Doctor of Philosophy (PhD) Programs for the academic session 2018-19. IBAB PhD Admission 2018 – Institute of Bioinformatics and Applied Biotechnology (IBAB ) Bengaluru Admission has released the notification for admission to the full-time PhD Programs in different areas for the academic year 2018. Rayat Bahra University PhD Admission 2018 – Rayat Bahra University Campus, applications are invited for admission to PhD Programs for the year 2018 . ESSO – INCOIS PhD Admission 2018 – Earth System Science Organisation (ESSO), Indian National Centre for Ocean Information Services (INCOIS), an autonomous Institute under the Ministry of Earth Sciences, Govt. of India; Ocean Velley Pragathi Nagar (BO), Nizampet (SO), Hyderabad has invited applications from motivated candidates for PhD Admission for the year 2018. ICFAI University Baddi PhD Admission 2018 – The ICFAI University, Himachal Pradesh, Baddi (IUHP) applications are admissions in PhD Program (full time) in Physics, Mathematics and Management for the academic session 2018-19. SRTMUN PhD Entrance Test PET 2018 – Swami Ramanand Teerth Marathwada University, Nanded is conducting its 08th PhD Entrance Test (PET) Examination (Online Mode Only) on 30th September 2018 (Sunday). PhD Admission is open in 42 subjects/ stream. IUCAA-NCRA PhD Admission Test 2018 - Applications are invited from highly motivated students for a research scholarship to do a PhD at the Inter-University Centre for Astronomy and Astrophysics (IUCAA), Pune (an Autonomous Institution of the University Grants Commission), or the National Centre for Radio Astrophysics (NCRA-TIFR), Pune (a centre of the Tata Institute of Fundamental Research), which built and operates the Giant Metre wave Radio Telescope. MATS University PhD Admission 2018 – MATS University, Raipur (C.G.) is going to conduct PhD Entrance Examination on 01st September 2018 at MATS University, Raipur Campus, MATS Tower, Pandri, Raipur. IIT Nagpur PhD Admission 2018 – Indian Institute of Information Technology (IIIT), Nagpur invites the applications for admission to PhD in various Programs for the academic year 2018-19. RGCB PhD Admission 2018 - Rajiv Gandhi Centre for Biotechnology (RGCB) Thiruvananthapuram invites applications for admission to the Doctor of Philosophy (PhD) Program for the session September 2018 in various research domains of Disease Biology. NUJS Kolkata M.Phil. Phd Admission 2018 - West Bengal National University of Juridical Sciences (WBNUJS) Kolkata invites application for eligible candidates for admission to PhD (Doctoral of Philosophy Degree) and M.Phil. Program for the academic year 2018-19. Arka Jain University PhD Admission 2018 – Online applications are invited from the eligible intending candidates for admission to the Doctoral Program (PhD in English, Economics & Commerce & Mgt.) of ARKA JAIN University, Jharkhand for the Academic Session 2018. North Eastern Hill University M.Phil Phd Admission 2018 – North Eastern Hill University (NEHU) Shillong is invites application for admission to the courses /programs of study for the academic session 2018-19. University of Calcutta PhD Admission 2018– Department of Psychology, University of Calcutta, Kolkata, invites application for admission to Doctor of Philosophy (PhD) in Psychology, commencing in 2018. Annamalai University M.Phil PhD Admission 2018 - Application invited for eligible candidates for admission to M.Phil. (Full Time) and PhD (Full Time /Part-Time (Internal) /External (India /Foreign) (On Campus Programs) at Annamalai University, Annamalainagar for the academic year 2018-19. University of Calcutta PhD French Admission 2018-Department of French, University of Calcutta, Kolkata, invites application for admission to Doctorate of Philosophy (PhD) in French, commencing in 2018. Raffles University Neemrana PhD admission 2018. Check out more info on dates, eligibility, & application for Raffles University Neemrana PhD admission 2018. Sri Venkateswara Veterinary University PhD Admission 2018 – Applications from eligible candidates are invited for admission into PhD Courses in faculty of Veterinary Sciences for the academic year 2018-19 . Akal University PhD Admission 2018- Akal University, Talwandi, Bathinda invites application for admission to PhD Programs for the year 2018-19. RCB PhD Admission 2018 – Regional Centre for Biotechnology (RCB) Faridabad invites applications from the motivated students for admission to the PhD (Biostatistics & Bioinformatics) Program for the year 2018. University of Kerala PhD Admission 2018 - Applications are invited online from eligible candidates for registration to full time/part time research leading to PhD Degree of the University, for July 2018 Session, subject to availability of vacancies. Ambedkar University PhD Entrance Test 2018 - PhD in Women's and Gender Studies, 2018 offered by Ambedkar University Delhi and Centre for Women's Development Studies (CWDS), Delhi. The notification for Ambedkar University Delhi PhD Entrance Test 2018 has been announced. AP RCET 2018 for PhD & MPhil Admission – Andhra Pradesh Research Common Entrance Test – 2018 (APRCET 2018) for admission into Ph.D./ M.Phil. (both full time and part time)offered by the Universities, Research Centres and Affiliated Colleges in the State of Andhra Pradesh for the Academic year 2018-19 will be conducted from 22nd August 2018 to 24th August 2018. Punjabi University Patiala MPhil and PhD Admission 2018 – Punjabi University Patiala has released notification for admission in MPhil and PhD Courses in the Various Department for the academic session 2018-19. Get info on IIFPT Thanjavur BTech M.Tech & PhD Admission 2018. Check out more on IIFPT BTech M.Tech & PhD Admission eligibility, application and dates. KR Mangalam University PhD Admission 2018 - KR Mangalam University invites application for eligible candidates for admission to PhD Programs for the year 2018. CESS Hyderabad PhD Development Studies Admission 2018 - The Centre for Economic and Social Studies, Hyderabad in collaboration with Telangana University,Nizamabad invites applications from candidates below 35 years of age for admission into PhD Program Development Studies for the academic year 2018-19. AIIMS New Delhi PhD Admissions 2018 (July Session). Check out more info on dates, eligibility, and application for AIIMS New Delhi PhD Admissions 2018. NIMS University Jaipur M Phil, PhD Admission 2018 - NIMS University, Jaipur Online applications are invited for admission in MPhil. / Ph.D. Programs 2018-19 in the following subjects. Calcutta University PhD Agricultural Chemistry Admission 2018- University of Calcutta invites applications from eligible and interested candidates for admission to PhD Program in Agricultural Chemistry and Soil Science at Dept. of Agricultural Chemistry and Soil Science, Kolkata for the academic session 2018-19. Dr. B.R Ambedkar University Admission 2018 - Dr B.R. Ambedkar University Delhi has release the notification for admission to the Post Graduate and Under Graduate Programs in different disciplines for the academic year 2018-19. Calcutta University Ph.D in Microbiology Admission 2018 - Applications are invited in the prescribed proforma from candidates intending to enrol in the PhD Program in Microbiology, University of Calcutta for the session 2018-19. GADVASU Ludhiana PhD Admission 2018 - Applications on the prescribed forms are invited from the candidates for admission to Ph.D Program in the following disciplines for the academic session 2018-19. SGGSWU PhD Admission 2018 – Applications on prescribed form are invited from the eligible candidates for admission to Doctor of Philosophy (Ph.D) program in various disciplines for the academic session 2018-19. University of Calcutta PhD Philosophy Admission 2018 – Applications are invited by University of Calcutta (CU), Kolkata for admission to Doctor of Philosophy (PhD) Program offered in Philosophy at the Department of Philosophy for the session 2018. Kalasalingam University PhD admission 2018 – Kalasalingam University, Krishnankoil, applications are invited from eligible candidates for admission to PhD Programs of this University in the following Departments for July 2018 session. Vidyasagar University Phd Admission 2018 – Vidyasagar University, Midnapore invites applications for admission to PhD Program in Fisheries Science for the academic year 2018. MGM Institute of Health Sciences Mumbai Ph.D. Admissions 2018 - MGM Institute of Health Science invites applications from eligible candidates for admission to the PhD Programs through MGM Ph.D. CET for the academic year 2018-19. BLDE University PhD Admissions 2018 – BLDE UniversityVijayapura invites application for admission to full time/part time Doctoral of Philosophy (PhD) Program through BLDEU All India Entrance Examination for the academic year 2018-19. University of Calcutta PhD Agronomy Admission 2018 – Department of Agronomy, Institute of Agricultural Science, Calcutta University, has invited applications for admission to PhD (Agronomy) Program for the academic year 2018-19. DU PhD Admission 2018 - University of Delhi has invites application for admission to PhD Programs for the academic year 2018-19. GNA University PhD Admission 2018 – GNA University, Sri Hargobindgarh, Phagwara (Punjab), applications are invited for admission in PhD Program for the academic year 2018. Visva Bharati Santiniketan VBRET 2018 - Applications in prescribed form are invited from eligible candidates willing to appear in the Visva - Bharati Research Eligibility Test (VBRET) for admission to the M Phil /PhD/Integrated M Phil - PhD Programs of the University for the Academic Year 2018-19. HRDD BARC - DGFS PhD Admission 2018 - Human Resource Development Division (HRDD), Bhabha Atomic Research Centre (BARC) Invites applications from Engineering Post-graduates (M.E/M. Tech. /Equivalent Degree) for admission to DGFS-PhD Program under the aegis of Homi Bhabha National Institute (HBNI) commencing from August 2018. Ramakrishna Mission Vivekananda University Phd Admission 2018 – It is hereby notified for all concerned that applications are invited from eligible Male Candidates, in the prescribed form, for admission in PhD Programs in “Swami Vivekananda Centre for Multidisciplinary Research in Basic Sciences and Social Sciences” of our college under West Bengal State University (WBSU) for the academic session 2018-19. PhD Fellowship & Junior Research Fellowship 2018 AICE – Indian Council of Agricultural Research conducts the All India Competitive Examination (AICE) for admission to Doctoral Degree Programs of Agricultural Universities under ICAR-AU System and Award of ICAR-JRF/SRF(PGS) in Agriculture and Allied Sciences for the academic session 2018-19 . Maharashtra MCAER Pune PhD Common Entrance Test 2018– Maharashtra MCAER has released notification for Common Entrance Test 2018 for Doctoral Program in State Agricultural University in Maharashtra for the academic year 2018-19 . BRAOU Hyderabad MPhil and PhD Admission 2018 - Dr. B. R. Ambedkar Open University invites applications from eligible candidates for admission into M.Phil. & PhD Programs in English, Hindi, Telugu, Business Management, Commerce, Education, Chemistry, Environmental Science, Mathematics, Physics, Economics, History, Library & Information Science, Political Science, Public Administration and Sociology for the academic year 2018-19. KLE University PhD Admission 2018- KLE University Belgaum invites applications for admission into Doctor of Philosophy (PhD) Programs (Full Time / Part Time) in various disciplines of Health Sciences including Inter-disciplinary Research of the KLE University for the academic year 2018-19 . Dr YSP University of Horticulture and Forestry MBA Admissions 2018 - Dr Yashwant Singh Parmar University of Horticulture & Forestry, Himachal Pradesh announces admissions in MBA Degree Programs for the academic session 2018-19 . Calcutta University Research Eligibility Test (RET) 2018 - Applications are invited for admission to PhD Program in the Department of Physics, University of Calcutta in the prescribed pro-forma downloadable from the University of Calcutta Website for the academic year 2018-19. Lala Lajpat Rai University Hisar MVSc and PhD Admissions 2018- Lala Lajpat Rai University of Veterinary and Animal Science, Hisar invites online application for admission to M.V.Sc - Master of Veterinary Science and Phd - Doctor of Philosophy for the academic session 2018-19. CSIR IMTEH Chandigarh PhD Admission 2018 - CSIR - Institute of Microbial Technology (CSIR-IMTECH) Chandigarh announces admission to PhD Program of the Microbial Technology for 2018 session. IISC Bangalore PhD Admission 2018. Check out more info on eligibility, application, dates for IISC Bangalore PhD Admission 2018. NIT Surathkal PhD MTech Admissions 2018 - National Institute of Technology Karnataka (NITK), Surathkal invites application from Indian citizens for admission to M.Tech, M.Tech (Research) and Ph.D Programs for 2018-19 (July session). Online applications are invited by Indian Institute of Information Technology (IIIT), Kottayam form the motivated and qualified students for admission to Doctor of Philosophy (PhD) Program under various Department starting from August 2018 session. Visva Bharati Santiniketan VBS Birbhum Admissions 2018 -Applications on prescribed form are invited for admission to the following Courses of the University for the academic session 2018-19 UG PG Diploma, Adv. Diploma Certificate CFS CIS B.Ed., M.Ed. Pre-Degree M.Phil. & PhD Admission 2018. RGIPT PhD Admission 2018 -Rajiv Gandhi Institute of Petroleum Technology (RGIPT), Bareilly, invites applications for admission to PhD Program at Department of Management Studies (DoMS), RGIPT, Amethi (Academic Session 2018-19) . NABI National Agri-Food Biotechnology Institute PhD Admission 2018- National Agri-Food Biotechnology Institute (NABI), Mohali invites applications from the motivated students for admission to the PhD Degree Program in Biotechnology starting July 2018 session. IIT Bhilai PhD Programs Admissions 2018 Full-time/Part-time/ External. Check out more info on eligibility, application and dates for IIT Bhilai PhD Programs 2018. Sathyabama Institute of Science & Technology PhD Admission 2018 - Sathyabama Institute of Science and Technology, Chennai invites applications for admission to Doctor of Philosophy (Ph.D) Program for the session 2017-18. Institute of Physics (IOP) Bhubaneswar invites application from eligible candidates for admission to Doctoral of Philosophy (PhD) Program for the academic session 2018. National Institute of Technology (NIT) Trichy invites applications for admission to PhD (Full Time) Program for the year 2018-19 (July 2018 Session). National Institute of Technology (NIT), Warangal invites applications for admission to full time and part time Doctor of Philosophy (PhD) (Full Time and Part Time) Program for the session July 2018. Dravidian University DUCET 2018 Notification - Dravidian University, Kuppam, has announced Dravidian University Common Entrance Test (DUCET-2018) for admission into the MA, M.Sc., M.Com., M. L.I.Sc., M.Ed and MSW Programmes for the academic year 2018-18 . IIT Palakkad PhD and MS (Research) Admissions 2018. Check out more details on important dates, eligibility, application for M.S. (Research) and Ph.D. Programs 2018. IISER Thiruvananthapuram PhD Admission 2018- Applications are invited from highly motivated students for admission to the PhD Program of Indian Institute of Science Education and Research - Thiruvananthapuram (IISER-TVM), starting August 2018 . PhD in Mass Communication Admissions 2018. Candidates who wish to pursue PhD in Mass Communication can see the list of Admission options for PhD in Mass Communication. CDS Integrated MPhil-PhD in Applied Economics 2018 - Centre for Development Studies (CDS), Trivandrum invites applications from eligible candidates for admission to full time residential program leading to Integrated MPhil/PhD in Applied Economics Program will commence on 01st August 2018 . Bharathiar University PhD Admissions 2018 Notification - Applications are invited from eligible candidates for regular PhD (Full Time and Part Time) Programs for the academic year 2018-19 offered in the University Departments/ Affiliated Colleges and Recognized Research Institutions. It is NOT for CATEGORY-B Stream. IIT Kanpur PhD, MTech & MS Research Admissions 2018-Indian Institute of Technology (IIT), Kanpur has released admission notification for Research Programs available for 2018-19-I Semester. The Research Programs include PhD, MTech and MS (Research). Saha Institute PhD Biophysical Sc. & Experimental Physics Admission 2018-Saha Institute of Nuclear Physics Kolkata invites application from eligible candidates for admission into Ph.D. program in Physics (Experimental and Theoretical) and Biophysical Sciences in 2018-19 session starting from August 2018. Jamia Millia Islamia PhD Admission 2018 -The Jamia Millia Islamia (JMI) has released the online application for admission into PhD Programs in various departments for the 2018-19 academic session . JNAFA University Hyderabad PhD Admission 2018 -Jawaharlal Nehru Architecture and Fine Arts University (JNAFAU), Hyderabad invites applications for admission to Doctor of Philosophy (PhD) Program offered in Applied Art, Architecture, Urban and Regional Planning and Environment Design for academic year 2018-19. RRCAT Indore PhD Admission 2018 - Applications are invited by Raja Ramanna Centre for Advanced Technology (RRCAT), Indore for admission to Doctor of Philosophy (Ph.D) Program in specialized areas of Physical, Chemical, Life and Engineering (Mechanical Engineering) Sciences for the academic year 2018. Pacific University, Udaipur (Rajasthan) has invited applications for admission to Doctoral Research Program leading to PhD degree in Management Studies, Engineering, Dental Science, Pharmacy, Hotel Management, Mass Communication and Journalism, Science, Arts (Social Science & Humanities), Education, Computer Science, Physical Education, Agriculture, commerce, Law and Yoga for the academic session 2018. Sumandeep Vidyapeeth Vadodara invites applications from eligible candidates for admission to PhD Programmes (Full Time/ Part Time/ In-Service) in all subjects/specialties of Medical, Dental, Pharmacy, Physiotherapy, Nursing and Management faculty of Sumandeep Vidyapeeth Deemed to be University for the Academic Year 2018-19. Patna University invites online application from the candidates for Ph.D. Admission Test 2018 schedule to be held on February 24, 2018 for admission into Ph.D program for the academic session 2018. Himachal Pradesh National Law University, Shimla, invites online applications for admission to PhD Programs through Entrance Exam (HPNLET) for 2018 sessions. Sri Padmavati Mahila Visvavidyalayam, Tirupati, has announced Research Entrance Test (RESET - 2018) for admission into M.Phil. / PhD (Full-time and Part-time) Programs for the academic year 2018-19. Applications are invited to the PhD Program at the O.P. Jindal Global University (JGU) beginning in August 2018. Sher-e-Kashmir University of Agricultural Sciences and Technology invites online applications from permanent residents of Jammu & Kashmir State for admission to Doctoral Degree Program in various disciplines for the Academic Session 2018. The Sant Anna School of Advanced Studies is offering PhD scholarships 2018 in Law. The PhD Program offers six places available (with scholarship), one of which is reserved for non-EU citizens. Dr. Reddy’s Institute of Life Sciences (DRILS) announces admission to its 2018 Ph.D. program. The research will involve specific topics in Chemistry or Biology. Applications are invited from eligible candidates with requisite qualifications as per PhD Regulations 2018 in the field of Modern Medicine (Pre-Clinical, Para-Clinical and Clinical subjects), Dental Sciences, AYUSH (Ayurveda, Yoga, Unani, Siddha and Homeopathy) Courses, Physiotherapy, Nursing, Naturopathy and other Allied Health Sciences for PhD Program of Dr. NTR University of Health Sciences, Vijayawada for the year 2018. Dev Sanskriti Vishwavidyalaya invites applications for admission to PhD ( Full Time) Courses, as per standards set by UGC, in the following subjects in the University for the academic year 2018. Applications on the prescribed format are invited from Indian and Foreign nationals for admission to Ph.D. Programs (Full Time/Part Time) in the Departments/Schools of Engineering, Sciences, Social Sciences, Computer Application and Business Administration for the current academic session 2017-18. University of Rajasthan, Jaipur invites online applications for admission to various M.Phil / PhD Program for the session 2017-18. Applications are invited by Vel Tech University Chennai for admission to (full time/part time) Doctor of Philosophy (PhD) Programs in Engineering, Management and Basic Sciences for the commencing session 2018. NIT Rourkela invites online applications from eligible candidates for admission to PhD Programs of the Institute in Spring Semester 2017-18 commencing from January 2018. The admission notification for their PhD Programme has been released by the Osmania University, Hyderabad. Admission is being provided in faculties of Arts, Social Sciences, Science, Commerce, Law, Management, Education, Engineering, Technology, Pharmacy, Informatics and Oriental Languages. Indian Institute of Food Processing Technology (IIFPT), Thanjavur invites application for admissions to Full time PhD Biotechnology Program for the January 2018 session on the research area of Food Biotechnology. Applications are invited by B.S. Abdur Rahman University (BSAU) Chennai for admission to Full Time and Part Time PhD Programs offered at various disciplines for the session January 2018. Postgraduate Institute of Medical Education & Research (PGIMER), Chandigarh has invited applications for admission to Doctoral of Philosophy (PhD) Program of the Institute for the academic session starting w.e.f. January 2018. Manomaniam Sundaranar University, Tirunelveli opens admission to PhD (Full time/Part time) and M.Phil. Programs in various disciplines of this University for session 2018. Punjab Agricultural University (PAU), Ludhiana, announces admission to Doctorate of Philosophy (PhD) Programme for the academic year 2017-18. Indian Institute of Technology (IIT) Tirupat invites applications for admission to the MS (Research) and PhD Programme starting in January 2018 Semester. Rabindra Bharati University PhD Admission 2018 - Rabindra Bharati University (RBU) - The University invites online applications for admission to Ph.D. Programs in the subjects under the Faculty of Art, Fine Arts and Visual Arts in the session 2018-19 as per University Grants Commission. IASE University invites application for admission to the PhD Programs in the offered in Different department of the university for the academic year 2018-19. KR Mangalam University invites application for eligible candidates for admission to PhD Programmes for the year 2017 . Applications are invited in the prescribed format, the award of Junior Research Fellowships (JRF 2018) for PhD in Life Sciences at Tata Memorial Centre. Centre for Nano & Soft Matter Sciences PhD Admission 2018 – Centre for Nano and Soft Matter Sciences (CENS) Bangalore invites applications from motivated candidates for admission to the PhD Program 2018 as Junior Research Fellows (JRF) in the given areas of research. Rama University Entrance Test (RUET) is a national aptitude test, for the aspirants of Graduate, Postgraduate and PhD Courses, offered by Rama University. The entrance test is mandatory to get admission in Rama University. The notification for Rama University Entrance Test RUET 2018 has been announced . IIITDM Kancheepuram PhD Admission 2018 - Indian Institute of Information Technology Design and Manufacturing (IIITD & M Kancheepuram), Chennai has released notification for admission into PhD Programs in the disciplines of Computer Science and Engineering, Electrical & Electronics Engineering, Mechanical Engineering, Mathematics and Physics for the session July 2018. Centre for Management Education (CME), All India Management Association (AIMA) , in collaboration with Aligarh Muslim University invites applications for admission to PhD in Business Administration for the 2018 session through a written test Research Management Aptitude Test (R-MAT) . NIT Rourkela invites online applications from eligible candidates for admission to PhD Programs of the Institute in Spring Semester 2017-18 commencing from January 2018 . Desh Bhagat University PhD and MPhil Admission 2018 - Desh Bhagat University, Mandi Gobindgarh is conducting the Entrance Test for PhD/M. Phil Course for the 11th Batch on 4th week of June 2018 for the following streams. Online applications are invited by Indian Institute of Information Technology (IIIT), Allahabad form the motivated and qualified students for admission to Doctor of Philosophy (PhD) Program under various Department starting from January/July 2018 session. Guru Jambheshwar University of Science and Technology, Hisar invites applications for admission to Doctoral of Philosophy (PhD) program for the academic year 2018 . Jaipur National University (JNU), Jaipur, invites applications for admission to Doctor of Philosophy (PhD) Programme with various specializations for the year 2018. Jaipur National University PhD Admission Notification 2018 has been announced. Indian Law Institute Ph.D. LLM, PG Diploma Admissions 2018 - Indian Law Institute, Delhi a premier legal research Institute established in 1956, announces admission into Ph.D., LLM & PG Diploma Programs for the academic session 2018-19..
NIPGR Delhi PhD in Plant Biology Admissions 2018- NIPGR Delhi invites applications for admissions to PhD Program 2018-19 for conducting advanced research in the frontier areas of Plant Biology. Jawaharlal Institute of Postgraduate Medical Education and Research (JIPMER) has released notification for the eligible candidates for admission to the M.Sc. Nursing, Post Basic Diploma in Nursing, M.Sc. in Applied Medical Sciences, Master of Public Health (MPH) and PhD Courses through an Entrance Examination for August 2018 Session . Dr. D.Y. Patil Vidyapeeth (DPU), Pune invites applications for admission to Doctor of Philosophy (PhD) Programme offered in the Faculties of Medicine, Dentistry, Nursing, Physiotherapy, Management and Biotechnology & Bioinformatics for the academic session 2018. AURCET 2018 - Andhra University Full-Time and Part-Time M.Phil./PhD Programs - Andhra University, Directorate of Admissions has issued notification for Research Admissions into Full-Time and Part-Time M.Phil./PhD Programs in Arts, Science, Engineering, Pharmaceutical Sciences and Law Faculties for the year 2018. National Museum Institute of History of Art, Conservation and Museology (NMIHACM), New Delhi announces admission for M.A. Courses for the academic session 2018-19 starting from July 2018. Gauhati University, invites applications for admissions to PhD Programme for Spring Session for the academic session 2018-19. PhD in Women's and Gender Studies, 2018 offered by Ambedkar University Delhi and Centre for Women's Development Studies (CWDS), Delhi. The notification for Ambedkar University Delhi PhD Entrance Test 2018 has been announced. ICFAI University, Hyderabad has invited applications for admissions to ICFAI Business Studies Aptitude Test (IBSAT) for 2018 Session.